Google Analytics is a very powerful tool, especially when it’s used to improve your content marketing. Learn how to go beyond the basics and make it a vital piece of your content marketing strategy. You may have read things like “don’t write blind” or “know who you’re writing for before you begin.” It’s an excellent foundation for any content marketing strategy, to be sure, but how exactly do you go about meeting your audience? That’s exactly what we’re here to share today. In the next few minutes you’ll learn how to use Google Analytics to enhance your content marketing strategy. Don’t already have one? We’ll show you how to define your audience and create a powerful strategy that will change the way you create content. You need to know everything you can about your audience before you create, and here’s how it’s done. A powerful content marketing strategy should be the first step when creating a blog post, video, white paper, etc. If you don’t have one you’re heading into battle blindfolded with your arms tied behind your back. Your competitors are using a strategy to create their content, you need to be doing the same if you want to drive traffic and establish brand authority. Where are your visitors coming from and how long are they staying? What exactly is drawing them in? Without a strategy you’ll be playing a guessing game each time you write a new piece of content. With any marketing you should be striving for the highest ROI, and content marketing is no different. If you’re the one generating the content, a poor ROI means wasted time, an especially precious commodity these days. 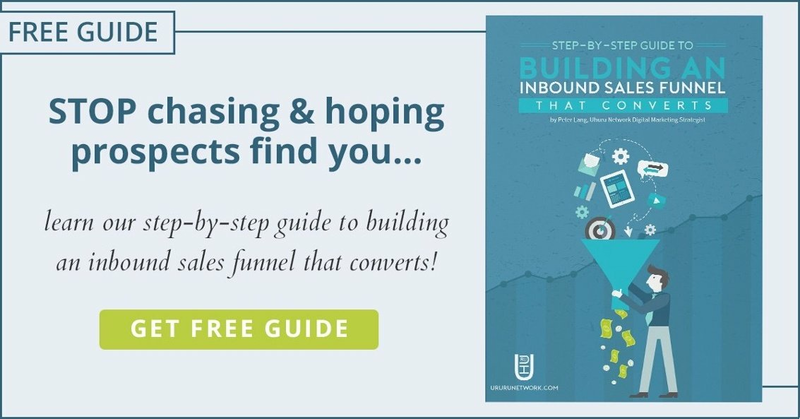 Do it right on the first go (implement a strategy) and you’ll be saving time, building authority, and driving conversions. “I know what my audience is looking for,” you say. Do you really? Do you know what makes your top posts so popular? Do you know why the post you attempted to replicate your success with fell short? When you understand what your readers want, you can create more of it. Creating spin-offs of your most popular posts is a great idea, but you’ll need to test each of your spin-offs in order to ensure you’re taking your content in the right direction. KPIs or key performance indicators are the variables you’ll be measuring in Google Analytics to evaluate the efficacy of your content marketing. They allow you to break down and evaluate important aspects of each piece of content in order to determine which parts are working and which need to be improved. Here are a few KPI examples to demonstrate how they can help you create a powerful content marketing strategy. You’re writing content to drive traffic, and the main way traffic is measured is through unique visits. This particular metric can tell you exactly how many people are visiting your site, page, etc. If you’re seeing a low number of visits to your new white paper, try to grab more attention with a more exciting title that sets it apart and hooks your audience immediately. It’s important to remember to combine this metric with others in order to get a clear perspective of your true performance. You can only judge a particular piece’s impact once you’ve analyzed it from multiple angles. We only have a few lines to engage our readers before they determine whether or not ours is the post they want to read. Google Analytics allows you to see just how long people are staying on a particular page, a very important metric. For example, you may think your new video is a winner but upon further inspection you find that on average people are only hanging around for 18 seconds, when they should be watching for over 2 minutes. Time to analyze. Maybe you gave your video an awesome title that drives the traffic but you blew the introduction so people get bored and leave before they get into your valuable content. You rewrite that intro and check your Google Analytics account again after a few days to find your “time spent” metric has increased to over 1 minute. Now you have a real winner that’s driving traffic and engaging your audience. This metric ties in with the “time spent” metric, but it’s a good way to see how engaging your content marketing strategy (and site) is as a whole. If a reader is thrilled by the valuable content you’ve just provided, they’ll likely click on links to your other posts, videos, etc. Once again, if someone makes it to your page just to turn around and leave, you’ve missed the mark. If someone spends their valuable time reading your content and navigates through multiple links on your site, you’re thrilling your audience and should utilize Google Analytics to redefine your strategy based on the information gathered from your success. Test new content against well-performing pieces and work to replicate your success. You may have a worldwide audience and not know it. Use the geographic metric to make sure posts written for your country appeal to readers from other parts of the world. Don’t alienate by using local slang and don’t offend visitors from other countries. One of the best features of Google Analytics is how closely you’re able to analyze the traffic to your page/site. While it can be a little overwhelming to look at all of that information at once, start with some of the easier-to-understand metrics and begin dissecting your existing content. What works, what doesn’t? Once you learn to use your account you’ll be able to distinguish your top content pretty easily. Your top pieces will be those with a high volume of page visits, long visit times, and a those that get your audience interested enough to click through to other pages. Once they gain enough exposure you’ll also see your backlinks, shares, and comments increase. You’ll also have access to view how people are reaching your page. You’ll be able to judge how well your content is ranking by how much traffic comes from organic searches, as well as how many people are being referred by links from other sites or visiting your site directly by entering your URL. The demographic metric gives you access to just what type of person is viewing your content. You may be surprised to discover that your audience is mostly women over 50. You can then take that information and research the types of topics that demographic prefers and use it when creating new content. Once you have the data, translate it into your new content marketing strategy. Is your audience looking for short, easy-to-skim informational pieces? Do they prefer longer tutorial-style writeups with step-by-step detail? Your best work should be replicated again and again. Now, take a look at your best titles and intros. Is your audience interested in numbered lists of top tips? What does it take to hook your audience and ensure that they don’t leave the page just after arrival. How much of your audience is mobile? If you’re getting a large amount of mobile traffic, you’ll want to ensure everything you create is optimized for viewing on a mobile device. The image choice is also an important variable to consider. Your analytics may not be able to determine exactly what about an image helped to make your post successful, but you can use it to distinguish your most successful posts and then analyze the images yourself. Is there a human in the image? Are they bright and vivid or soft and subtle? Take what you learn and apply it to future posts. A great way to recreate the success of your top posts is to create a list of their defining features and use it as an outline when creating new content. Once you’ve determined what makes a piece succesful, strive to instill those features in every new piece of content. Your content marketing strategy will need to change as your brand and your audience evolves. The way you engage your audiences is unique to your brand and your audience’s preferences. The only way to determine what those are is through analysis of the data. Keep up with your analytics account and you’ll have all the information you need to stay ahead of the curve.